The recently redeveloped Adelaide Oval sits within a revitalised riverbank and parklands precinct. 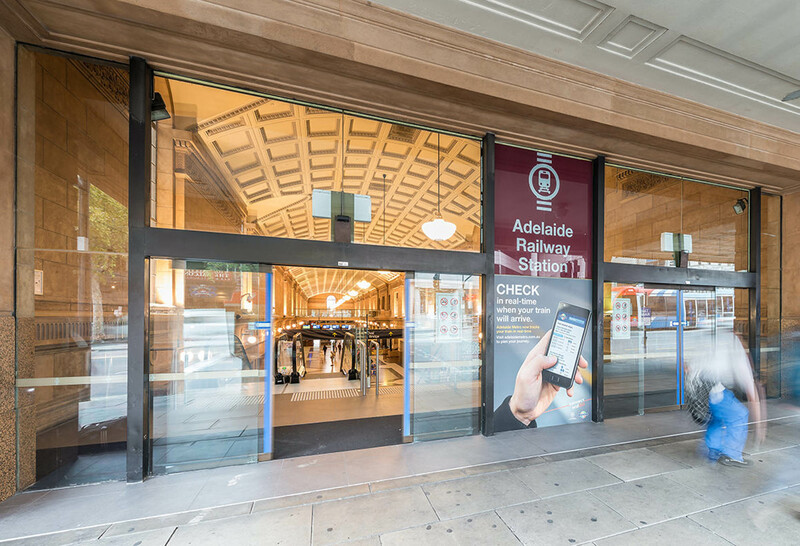 The Western end of Adelaide Railway Station’s North Terrace entrance received a significant upgrade, improving the ability of the station to handle large crowds, and to provide better connections between Adelaide’s trams, buses and trains. Schiavello Construction was engaged to undertake the project, which included the demolition, and redevelopment of concrete in-situ stairs with glass balustrades, and new escalators installed alongside the refurbished stairs. Due to the high pedestrian traffic nature of the site, a fast-track schedule was required to minimise public disturbance. As one initiative, steel reinforcement and concrete strength were increased to ensure minimal structural deflection in the new stair, and to allow floor finishes to be installed within two days of pouring concrete. Double work shifts and preliminary shop drawings also supported the fast track solution. To minimise disturbance during the demolition phase, a plastic bubble approximately 6.0 metres high was constructed over the site with extraction fans to reduce dust. 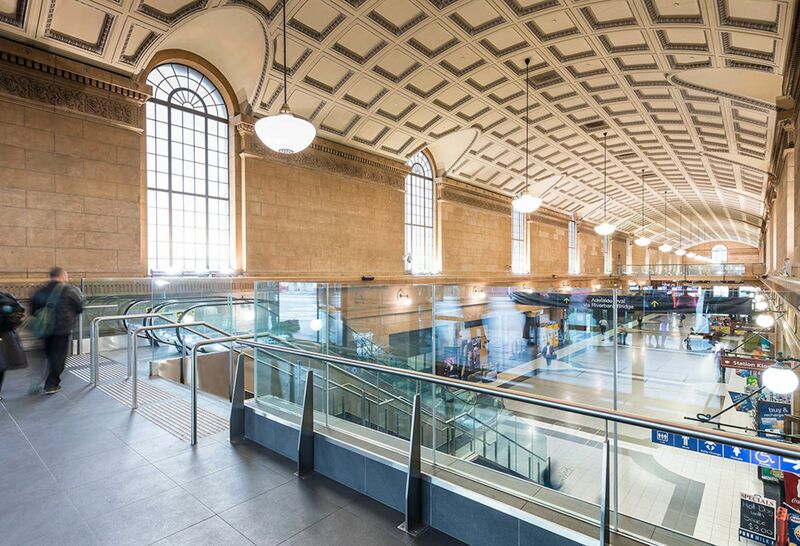 Schiavello’s expertise helped inform constructability challenges throughout the project lifecycle, and specific experience dealing with the installation of escalators with cladding provided insight in regards to construction detailing. The upgrade, designed by DASH Architects, creates a new gateway to a revitalised precinct that crowds of locals and visitors continue to enjoy. 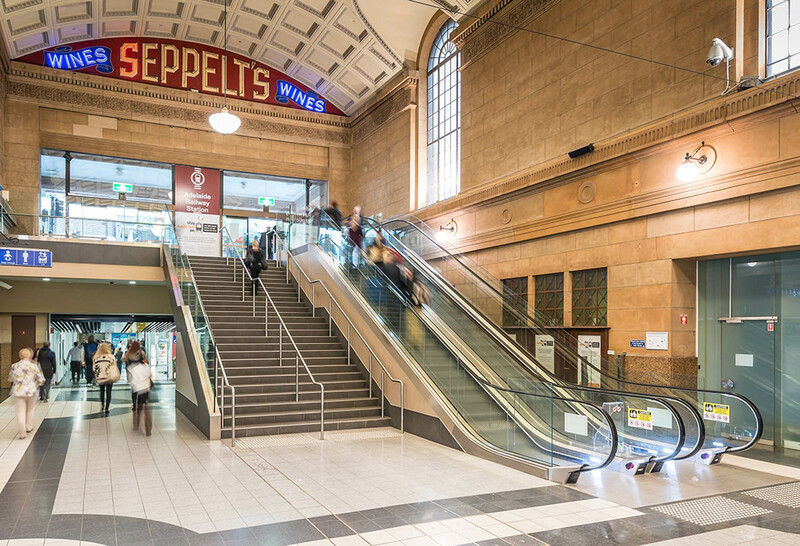 Continuing to strengthen the relationship with the Department of Planning, Transport and Infrastructure (DPTI), Schiavello also delivered the Hydraulic Upgrade to the Adelaide Railway Station building. The Department of Transport and Infrastructure engaged Schiavello as the Construction Manager to manage the restoration of the heritage facade. 900 employees across seven locations have been united at the new DEWNR headquarters at 81 Waymouth St, Adelaide.